Posted on November 23, 2009 at 8:30 am. It’s already past Halloween but November’s still here so I think stories on the paranormal are still welcome at this time. 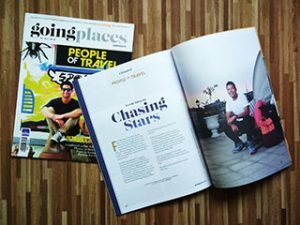 And what better a setting than the often mist-cloaked landscapes and cool climate of Baguio. My recent visit to the famed summer capital led me to explore the City of Pines‘ famous haunts. In the next few post I’ll regale you with stories of places and the things hidden behind the mist. 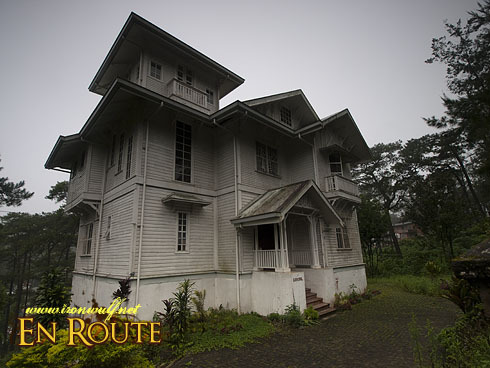 The Laperal White House at Leonard Wood Road in Baguio is one of the first places locals seem to mention when you ask them about the haunted places in the city. 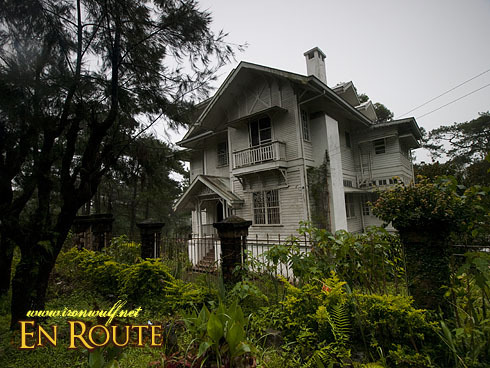 Built on 1920’s, it was home to the Laperal Family, the oldest clan in Baguio. 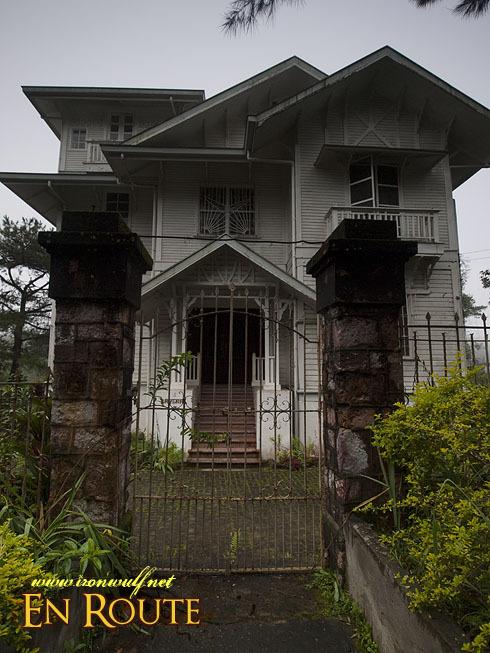 At the height of World War II, Japanese soldiers occupied the house. Most of the family was brutally murdered in the house. The last Laperal, Roberto died of an accident by slipping and hitting his head. The house remained uninhabited ever since except for the caretakers living outside the house within the gates. There were reports that footsteps and moans could still be heard. 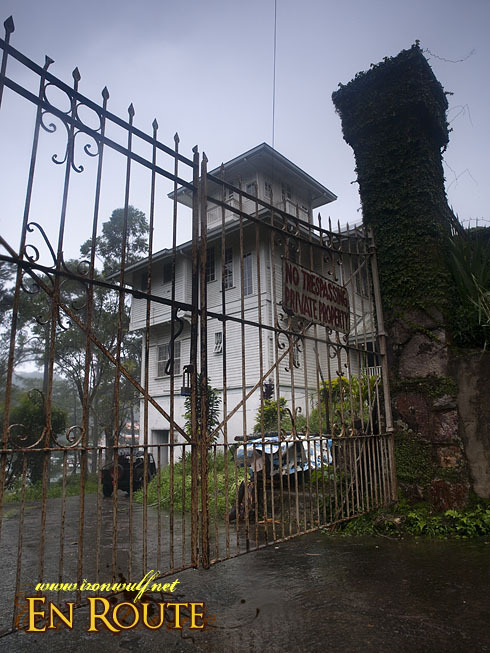 Numerous Baguio residences reported seeing an apparition of a girl at the door footsteps at night. A popular restaurant owner narrated how her friend brought with her a clairvoyant at PNKY’s restaurant just across the Laperal White House to dine. At that time, PNKY’s was just on ground level. When the Clairvoyant looked at the mirror of the restaurant, she was stunned when she saw a woman standing behind her along with the reflection of the house. PNKY’s restaurant now has an elevated ground and made sure their mirrors don’t reflect the old house in any way. When we went there, I asked the guards if there is any chance we could go inside the house just to take pictures since no one is living there after all this time despite being refurbished. But the guards said that the house is a private property and we can only take pictures as long as we’re behind the fences and the gates. I also learned that the owner of the house is the famous tycoon Lucio Tan which made it a lot interesting. I asked the guards if they experienced any paranormal activity, but they refused to comment on that. Personally when I approached the house, I felt something hostile and a feeling of being unwelcome. Angry eyes ever observant yet watchful coming from the doorway. I’m no psychic or clairvoyant so I leave my feelings and impressions to my hyperactive imagination. If there are spirits lurking there I’m not sure. But I heard the house has been a venue to some gatherings lately and the places has been blessed by the priest. I heard during the Christmas Season, the house is one of the most decorated houses there, making all those haunted tales disappear under the glimmering lights. Interesting story, Ferdz! And kinda scary. A medium might say that the spirits are stuck in this world because of how they died. It does look scary Ferdz. Parang scene sa Harry Potter. 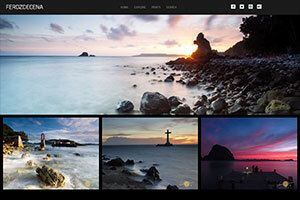 hi, im a frequent viewer of your website and i loved your zambales trip to anawangin and got the chance to go there twice. 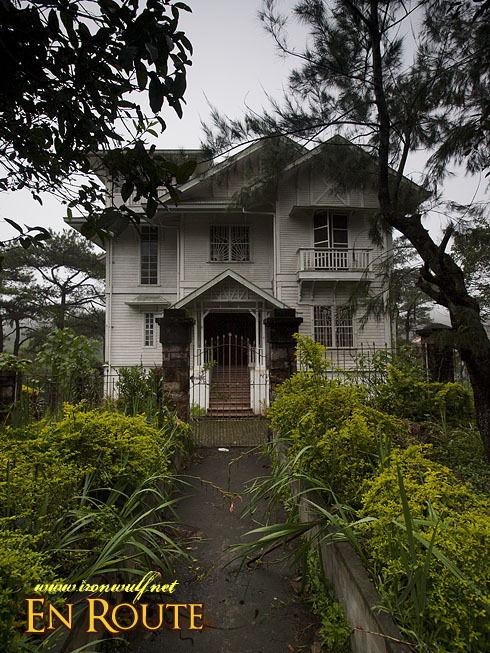 if you are still curious at to what the laperal house looks like from the inside here is a website of my uncle who loves to take photos along with other photographers here in baguio. in one or two of the pictures you will see faint “unseen” images. he and his group of photographeres were allowed to enter the laperal house bec of connections.i bet you would have enjoyed taking photographs inside too. Bekah.. can you please upload your pictures that has a reflection of a girl. That’s scary but interesting. im from baguio city. i live near that house. there’s really nothing paranormal activity happening within that area. it’s not really haunted. sabi sabi lang yun. dahil nga sa wala nakatira at luma na. nag simula na sila gumawa ng sarili nilang kwento. i love all the shot! my friend live near that house! i love old things and old places, our house is full of antiques too.. I was a friend of the daughter of the Laperals and we stayed there for a few nights with some friends in the early 80’s. It was a little creepy but we did not see nor encounter ghosts nor experience paranormal activities. The inside of the house was very beautiful. We played majhong in the middle of the night on the third floor. It was one of the most memorable place I have been. ka gandang house,ka takot naman. gusto ang bahay na to na makita sa personal,kaya medyo may takot ako,no kayang hiwaga amg meron sa bahay na ito. pumunta kami sa baguio para kunan ng picture ang white hous…. im from baguio to! i really havent been in the house yet. kasi every time i go there with my family they say its closed. r we even allowed to go in? i want sana. and totoo ba ang sinabi nila, na haunted yung house na yan? From what I know, the house is a private property so not everyone is allowed to go in. Talaga? Me bayad po ba? Bukas ba yung white house dec. 24 or christmas day?